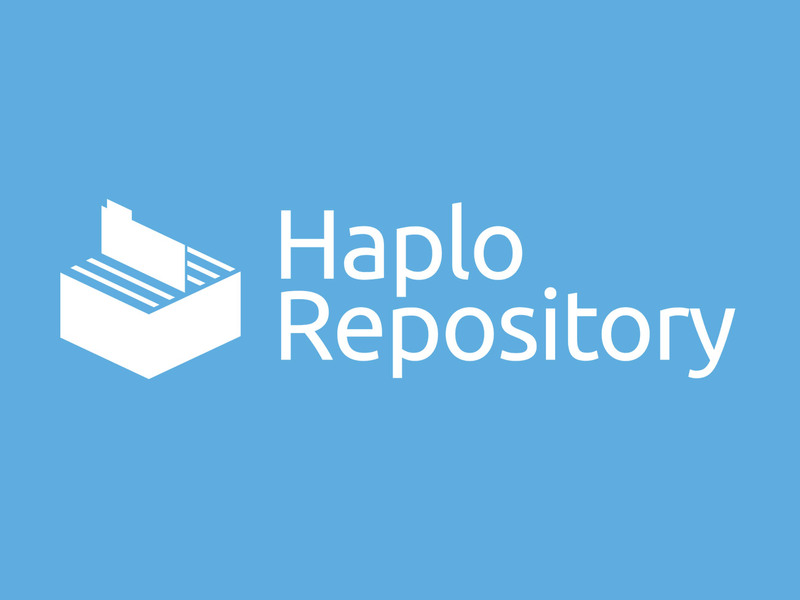 Haplo are pleased to announce the latest open source release of Haplo Repository, a modern academic repository designed for researchers and repository teams to work together. We are pleased to announce the latest open source release of Haplo Repository, 2018/11. Developed in a highly modular manner, institutions can pick the functionality they need, integrate with institutional systems and the wider academic infrastructure, and provide a highly customised public repository interface to showcase the institution’s research. “Request a copy” workflow from internal and external researchers, including file preparation stages for research data (eg anonymisation). The technical architecture underpinning the Haplo repository solution is built through layers of independent and self-contained modules and multiple plugins. 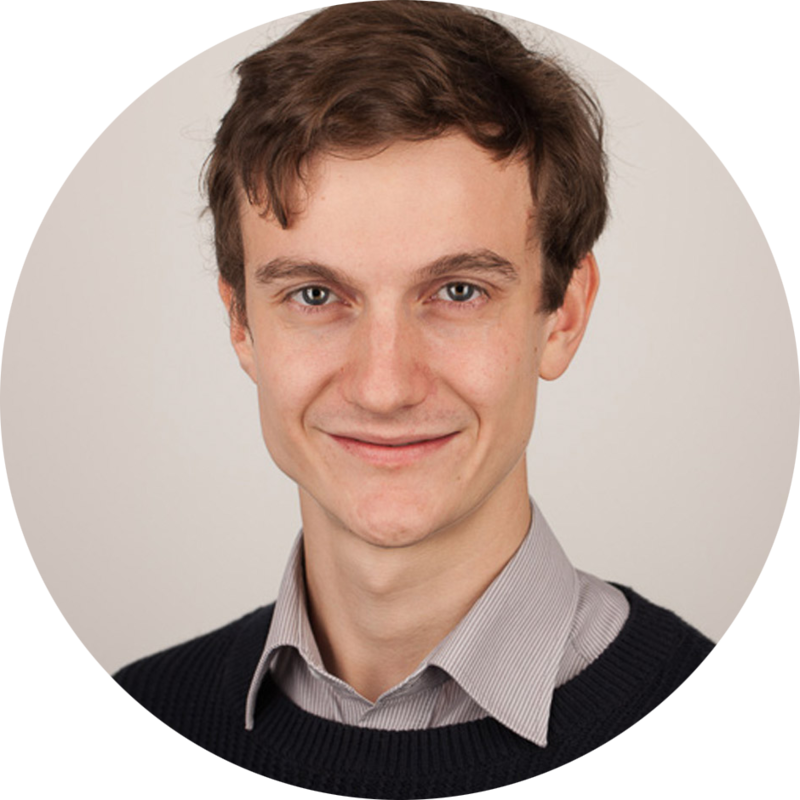 By breaking the elements which make up a repository into many small elements, Haplo can offer extensive flexibility in which elements are used and in how a Haplo system is built for each institution. The ordering of the layers is important and differs from how repository systems are traditionally built. The elements institutions most often wish to customise (such as the interface and schema) are in the top layers to enable easy configuration, whilst security is in-built deep in the core of the product at the lowest levels, enabling a high level of security throughout. All the code is available on GitHub under the Mozilla Public License v2. You’ll need the Haplo Repository plugins, which run on top of the Haplo Platform. To try it out quickly with Docker, follow the instructions in the README file. Or contact us to request a demo. The University of Westminster use Haplo Repository for their institutional repository, which has been branded to match their new web site, and to support the publication of their leading practise based research. Haplo Repository’s highly modular nature is delivered through many co-operating plugins. Institutions choose the functionality they need by installing the features they need, and making any per-institutional schema changes. Haplo’s mature plugin API guarantees that plugins will work perfectly together, by providing mediated communication between them, hooks for plugins to apply institutional policy, and a user interface that seamlessly combines plugin functionality into a consistent and coherent whole. To demonstrate the granularity of the Repository modules, we’ve listed the key plugins below. Each of these offers an opportunity to swap out standard functionality with institution specific implementations, allowing a high level of customisation. A “demonstration” repository is provided as a starting point for an institutional repository, which will work out-of-the box for most institutions requiring a standalone repository. Support for the Datacite metadata schema, and translation to present data stored in Haplo in this format, suitable for presentation through machine interfaces such as OAI-PMH. Translates to and from a typical configuration of EPrints EP3 XML. This allows for simple migration from a legacy EPrints repository, as well as ensures Haplo presents metadata to the world in a backwards-compatible way. Adds a translation to the uketd_dc metadata format so that Theses in the repository can be harvested over OAI-PMH by the British Library’s EThOS service. Provides a mapping to expose data in the RIOXX metadata format to external systems, and to report to repository editors whether the metadata on an item meets the RIOXX quality standards. Adds the schema for collections of outputs, and UI to aid users in grouping together outputs already in the repository into a collection. Schema for Research Data output types. The schema added by this plugin is required if the repository is to include research data. Additional schema for research data types, which is optional but recommended. Schema for traditional research output types, such as Journal Articles and Books, as well as non-traditional outputs such as Exhibitions, Artefacts, and Software. This plugin contains the minimal requires schema if the repository is to be used for research outputs. This plugin adds additional, recommended, schema for research outputs. It could be replaced if an alternative schema is desired. The schema added by this plugin includes sophisticated support for practice-based research types, and for accreditation of different kinds of author contributions (eg. Lyricist, Director, Producer. etc). Recommended but optional schema that can be used for all research output types, including datasets and collections. Produces a mapping from Haplo’s schema to the Dublin Core schema, and produces XML suitable for exposing to other interfaces, such as through OAI-PMH. Custom data type and user interface for recording author citations, linking to the author record to ensure consistency and accurate reporting, while allowing custom citation formats and per-output citations. UI to promote browsing and discovery of outputs in the internal interface. Providing filterable lists of outputs in a department, research group, faculty, or by a given researcher. Implements the default repository citation style, forming consistent citations for output records from the metadata recorded within the system. Adds the option for administrative staff to copy duplicate an existing repository item, copying over metadata onto a new record to reduce the amount of manual data entry for related items (eg. research presented at a conference and also written up as a Journal Article). Contains the implementation for the internal processes, UI, and management of claiming items harvested from external sources. Provides tasks and notifications sent to authors, and the workUnits and UI for managing updates and edits to records. Provides infrastructure for registering integrations as external sources of output metadata, collecting information from those configured sources (each source integration implemented as a separate plugin) and matching harvested outputs to records already within the system. Default UI for the recording of Impact and Impact evidence in Haplo. Aim is to promote the recording of evidence for Impact through UX guiding researchers to that option. The default UI options for the start of the researcher self-deposit process. Includes inbuilt guidance for the depositing author, aiming to guide them to input the best quality data possible. Pluggable so universities can have different UI if they so wish. The default ingest workflow for the mediated self-deposit process. Implements a custom form for adding and editing research outputs, to include per-field guidance to depositing authors as they add their research. Adds an and intuitive interface for repository editors to review and manage the controlled list values configured within the application. By default this covers Journals, Funders, and Publishers, but a configuration option is provided so this can be extended to other schema types. Schema related to the REF, including Units of Assessment. Reporting on REF. Support for REF Open Access compliance checking and exception recording. The plugin reports on each item, and also provides overall compliance dashboards so Repository Editors can monitor the REF readiness of the repository. This plugin provides most of the schema for tracking the Open Access status of items in the repository (see hres_repo_oa_green_* plugins for more information), as well as reporting dashboards to allow repository editors to get an overview of the OA footprint of research at the institution. The first of two methods for recording an output as Green Open Access. If this plugin is installed the repository will assume that this repository is the primary system that publications would be uploaded to for a researcher. It therefore infers Green OA status based on whether the Accepted Author Manuscript is attached to the output record. The second method of recording Green OA status is for cases where it’s likely that AAMs are being uploaded to other repositories, such as a subject-specific repository, and so inferring Green OA status is not appropriate. This plugin adds an explicit metadata field to outputs where Green OA status can be recorded. Initial draft of recording and tracking Article Processing Charges within Haplo Repository. This is still under development, providing minimal features that we intend to expand on in partnership with our development institutions. Overall management of a REF assessment process. Framework and UI for managing a self-service researcher profile, gathering data from information stored elsewhere in the application, and self-service editing. Profile can be show in the internal user interface, and published in the public repository interface. Standard profile fields for researcher biography. Photo upload and management in researcher profiles. Framework for managing access to sensitive files. Schema and policy to allow for restricting sensitive files uploaded to outputs, such as research data or items with personally identifiable information. A set of reusable components for to support requests for access to non-public files held within the repository. UI to enable requests for access to restricted files to be managed on output records. Implements embargoes for the Haplo repository. Multiple embargoes can be applied to an output, restricting each kind of file (eg. publisher’s version vs accepted manuscript), allowing you to upload all available documents to Haplo securely. The framework for Haplo systems to act as an OAI-PMH data provider. Provides a standalone OAI-PMH endpoint, for repositories without a human-usable public interface to act as a ‘dark archive’. Datatype and schema support for DOIs. Layer on top of the support for the DOI data type, that allows systems to be configured to automatically mint and update DOIs for new outputs. Development implementation of an interface to harvest metadata from data stores using a DOI entered by the user. This version harvests the basic from the Datacite metadata store. Sends tracking requests to IRUS-UK and IRUSdata-UK for file downloads from the repository. Full integration with ORCiD, including pushing publications to ORCiD. Schema and implementation of a custom ORCiD identifier data type. User interface to guide researchers to signing up with ORCiD, with reporting on institutional progress to full adoption. Standard management of ORCiD on researcher profile. Provides a set of common features and components for repository publications - the public interface to the repository - such as html metadata tags, search by fields functionality, components such as styled button links, and restricted file rendering. These can be flexibly reused in many different places in the public interface, or not at all, to allow it to be fully configurable for your needs. “Page parts” are sections of a page in repository publications that can be reused between pages. For example, a “related items” page part lists outputs in the system by one of the authors of the item you’re viewing. This plugin provides a collection of useful page parts to put together to build a customised public interface. These are plugins that bring together the repository components to demonstration the functionality, and as the basis for a customised deployment in an institution. This sets up application-specific system configuration such as the homepage layout, any institution-specific roles and permissions, and lists the common plugins to be installed in this system as dependencies. This is a demonstration implementation of the access request process for a restricted item. This could either be Research Data that has not been made available publicly, or research outputs containing potentially sensitive information. This plugin uses the standard publication components in hres_repo_publication_common and hres_repo_publication_page_parts to produce a simple example public interface for the repository. This is a demonstration implementation of the Request a Copy process, intended for items that are currently under embargo. This uses many of the same components as the access request process described by hresrepodemo_access_request - reusing common components in this way allows sophisticated processes to be described accurately with very little effort in Haplo Repository systems. Haplo is actively developing the Haplo Repository, and has more work under development which will be released soon. Support for running REF processes, building on this release’s REF Open Access compliance checking and reporting. Integrations with other academic publication system, integrating into the harvesting infrastructure in this release. Contact us to find out more about the Haplo Repository.